When most consumers and life insurance brokers hear the words no medical life insurance, they think of a life insurance policy designed for someone with serious health issues. However, there is a new wave of fully underwritten no medical life insurance policies. But, how can a policy have no medical tests and still be fully underwritten and what exactly does this mean? Underwritten means that the insurance company is going to analyze the health of the applicant and they can still do that without medical tests by asking a series of health questions and/or writing the insured’s doctor. Two carriers with very good fully underwritten no medical life insurance plans are Western Life and Assumption Life. In fact, many of their no medical plans are less expensive than the fully underwritten plans with a medical test from other carriers. 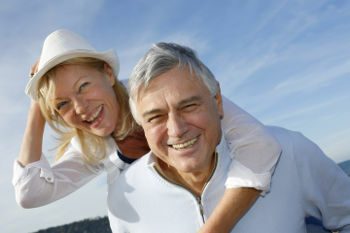 Assumption Life’s Term Life plans (available with a level decreasing death benefit) and Whole Life plans are available without medical tests in face amounts of $250,000 or less for insured clients age 18 to 65. Non-underwritten no medical plans are also called guaranteed issue policies because these plans have no medical tests and no health questions, so you’re guaranteed to get insurance. These plans are much more expensive than traditional life insurance policies and have a two-year waiting period on non-accidental deaths. This means that if the insured dies in the first two policy years, the death benefit is limited to a return-of-premium plus interest. A hybrid form of guaranteed issue policies is simplified issue policies. These plans are not underwritten in the traditional sense. There are health questions, usually three to 12 questions, but they are less intrusive then traditional life insurance questions. If the insured can answer “No” to each one, they are automatically approved for the coverage, so there is no underwriting in the traditional sense. Plus, many of these plans also provide coverage from day one.